Looking at our 5 day forecast, there are some 50°, and even 60° days, on the horizon. And that means it’s time to put away the winter clothes and break out some fun (new!) Spring clothes. 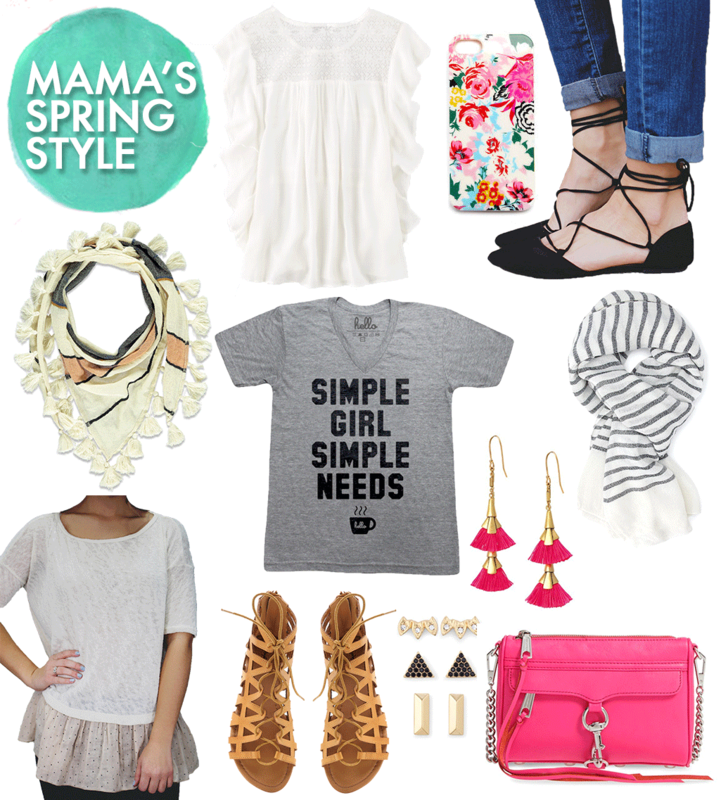 You know I love a good round up, so here are my favorite spring style pieces for mama and mini. For tiny clothes, I’m feeling all the bright colors and lots of florals. For mama, I’m feeling lots of white. Which is funny, because I was sure I’d never be able to wear white again after becoming a mama. Buuuut I guess I can’t only wear white, so you’ll find some fun colors and florals there, too. And tassels. You can never go wrong with tassels! Loving all of your picks here! I bet it is fun buying clothes for your little one. 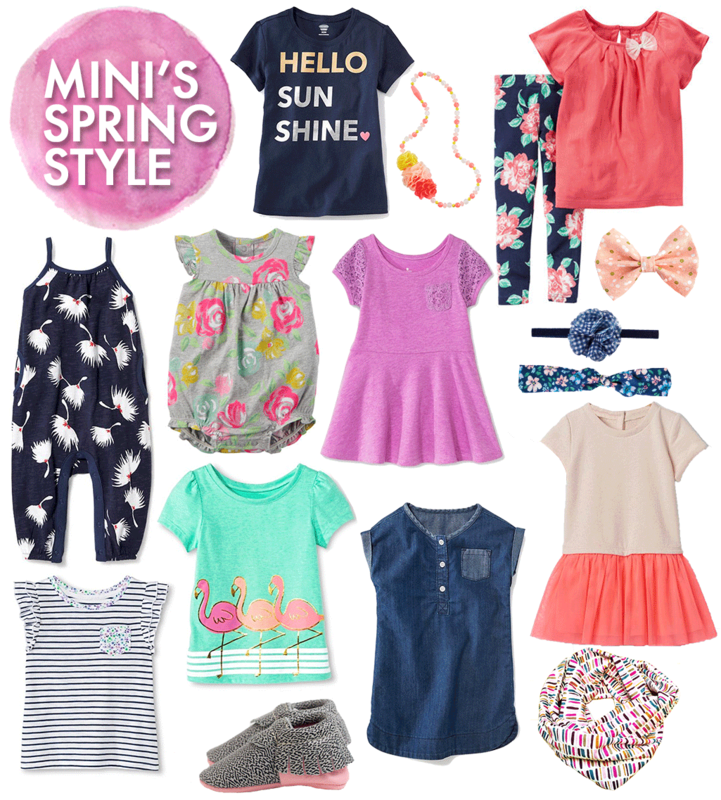 I love these choices and can’t wait to see your mini dressed in them! So much cuteness. Love young girl’s clothing, its just too cute for words. Love the mommy and mini concept! So many awesome picks! So cute! I love that you did a momma + mini post. I don’t have any little ones myself, but that little rose jumper(?) again, I don’t have kids I don’t know the lingo of their clothes! ;) is SO adorable! I might need to pick that up for one of my friends babies! Thanks for sharing!